Microsoft Excel is the most common spreadsheet and data manipulation application in the world. Whether you’re a student crunching numbers for a statistics class, an activist looking to back claims with figures, or an entrepreneur working on your next business plan, you’re likely generating multiple Excel files a day in pursuit of your goals. What happens if you can’t find the spreadsheet you’ve been working on? Thanks to some tools built into the Windows operating systems, and the helpful backup function of Microsoft Excel, you typically can find your lost file on your own. For the times when those tools fail, a data recovery suite like ParetoLogic’s Data Recovery Pro to recover lost or deleted excel files, or Stellar Phoenix Excel Recovery to repair or recover corrupted excel files, can be just what the doctor ordered. Like most lost files, start by looking in the recycle bin. It’s not hard to conceive an accidental key press taking out hours of work on a spreadsheet. The recycle bin can be your one stop shop to recover Excel files. Are you being general with the search terms? Did you specify the correct file extension? Did you search all the drives on your computer? You basically want to be as general as possible with your search criteria. This will give you the best odds of finding your Excel file. If you can’t find the file through Windows search, try searching the recently opened Excel files in Excel itself. By opening the file menu recently opened spreadsheets can be viewed. If that fails, use specialized Excel recovery software. If you cannot find the excel file then I recommend scanning your system with ParetoLogic’s Data Recovery Pro. So long as no new data has been written to the Excel file’s location, it won’t be overwritten or erased. If you use the software before the operating system uses that part of the hard disk, your Excel file can be restored. Need To Repair or Restore a Corrupted Excel File? With Stellar Phoenix Excel Recovery you can repair and restore an excel file that has been corrupted. Simply download the software and browse for the afflicted excel file in question. Within minutes you can repair the file and restore your precious data. Windows uses the hard drive nearly everything it does. Your Excel file is at risk of being erased with every activity. Because of this, you should stop using the computer immediately! 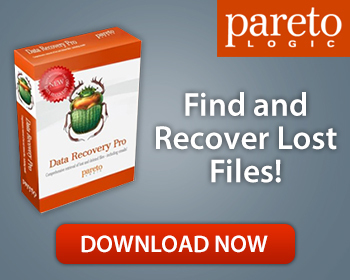 Leave your computer running and download ParetoLogic’s Data Recovery Pro. The program features strong search algorithms harnessed by an easy to use interface that makes finding and recovering lost Excel files a breeze. Excel spreadsheets are powerful tools that often contain expensive and strategically important data. If you lose or delete a spreadsheet, you may be able to recover it through Excel or Windows search. If not, ParetoLogic’s Data Recovery Pro is a great tool for recovering lost or deleted Excel files and Stellar Phoenix Excel Recovery can repair your corrupted excel files.